Brian Elwin Haner, Jr. (July 7, 1981), better known by his stage name Synyster Gates or simply Syn, is an American musician, best known for being the lead guitarist of the heavy metal band Avenged Sevenfold. He has appeared with many different styles of his Schecter guitar, however he tends to use his black with white pinstripes. Haner attended Mayfair High School in Lakewood, but he later transferred and graduated from Ocean View High School in Huntigton Beach , California. He studied at the Musicians Institute in Hollywood as part of the Guitar Institute of Technology program, studying jazz guitar. After six or so months of being there, he got a phone call from The Rev asking him if he wanted to join his band, Avenged Sevenfold , as lead guitarist. Haner joined rather than continuing his education and becoming a studio musician. Up until that time he was primarily self-taught by watching music videos and reading books. His father, Brian Haner Sr, is a comedian, songwriter, and guitarist. Gates joined Avenged Sevenfold when he was 18 at the end of 1999, right before the recording of the band's first album, Sounding The Seventh Trumpet. He was featured on the EP Warmness On The Soul , and on the reissue of the band's first album as well as Synyster's new version of "To End The Rapture". His name on Avenged Sevenfold's debut album was "Synyster Gaytes", M. Shadows on the album was simply "Shadows"..
Gates became the band's official lead guitarist. After Sounding the Seventh Trumpet, the band has released 4 studio albums: Waking The Fallen, City Of Evil, Avenged Sevenfold, Nightmare and a live DVD/CD Live in the LBC & Diamonds in the Rough. In Revolver magazine, the Avenged Sevenfold special edition that was released the same day as the Nightmare album, Gates stated that he originally started out writing the song "So Far Away" in honor of his grandfather, it later on became to also honor his late bandmate The Rev as well. Haner, along with The Rev, played in an avant-garde metal band named Pinkly Smooth. Formed in the summer of 2001 in Huntington Beach, California, the band featured ex-Ballistico members Buck Silverspur on bass and D-Rock on drums. The band has released one album, Unfortunate Snort on Bucktan Records, which features a crossover sound of mostly punk, ska and avant-garde. Former Avenged Sevenfold bassist Justin Meacham played keyboards and piano on the album. There was speculation that Pinkly Smooth was going to produce another record, but due to the death of The Rev, it is highly unlikely that they will produce any more material. He and his father wrote and recorded the theme song to The Jeff Dunham Show. 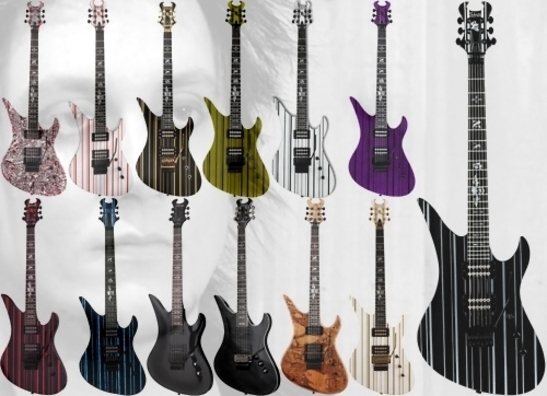 Synyster Gates uses mainly Schecter Guitar. Schecter Guitar Research has been sponsoring him and he has signature Avenger models. 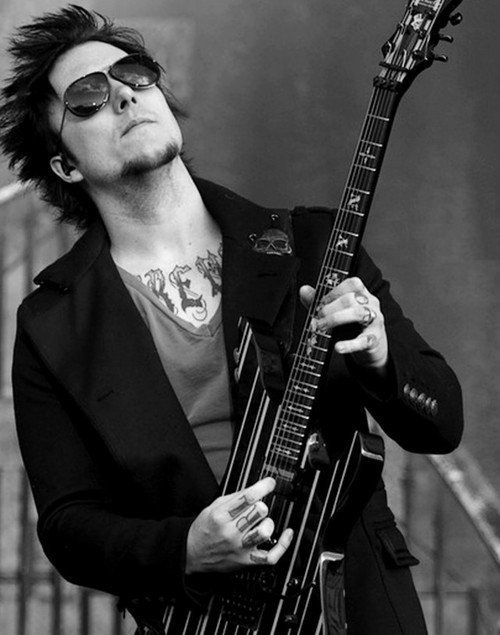 He has also been seen using ESP guitars when A7X were recording Waking The Fallen and City Of Evil. Schecters custom models with Rebel flag, American flag, German flag, Black with Red Stripes, Red with Black Stripes, White with Gold Stripes, White with Black Stripes, one featuring Jack Nicholson's Joker art and color scheme, and one with Tune-O-Matic Bridge. He has used Bogner, Marshall, Mesa/Boogie and many more amps in the studio, but until late, has been mostly seen with Bogner live.